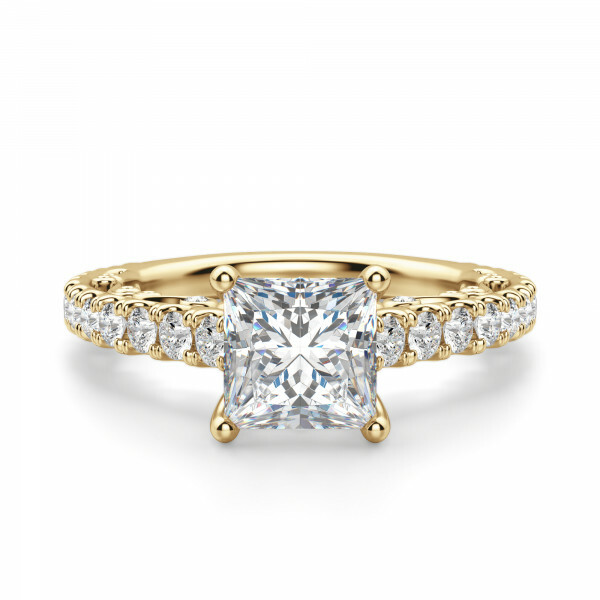 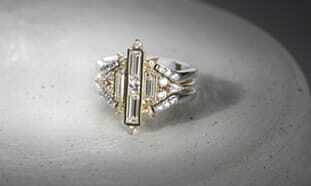 This classic accented ring has more than initially meets the eye. 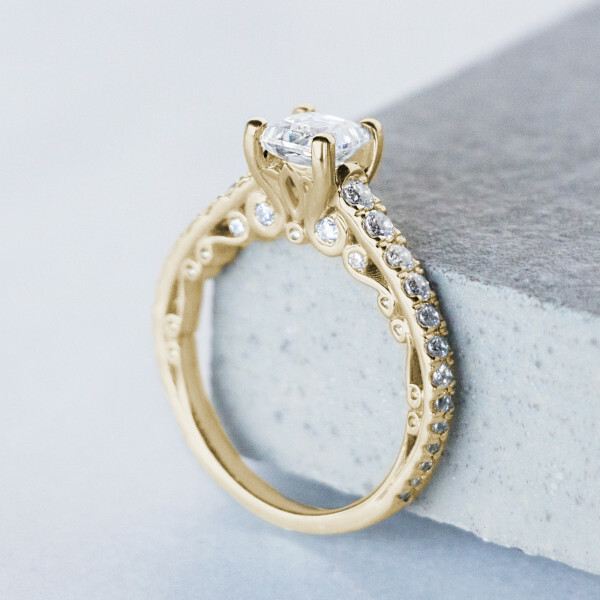 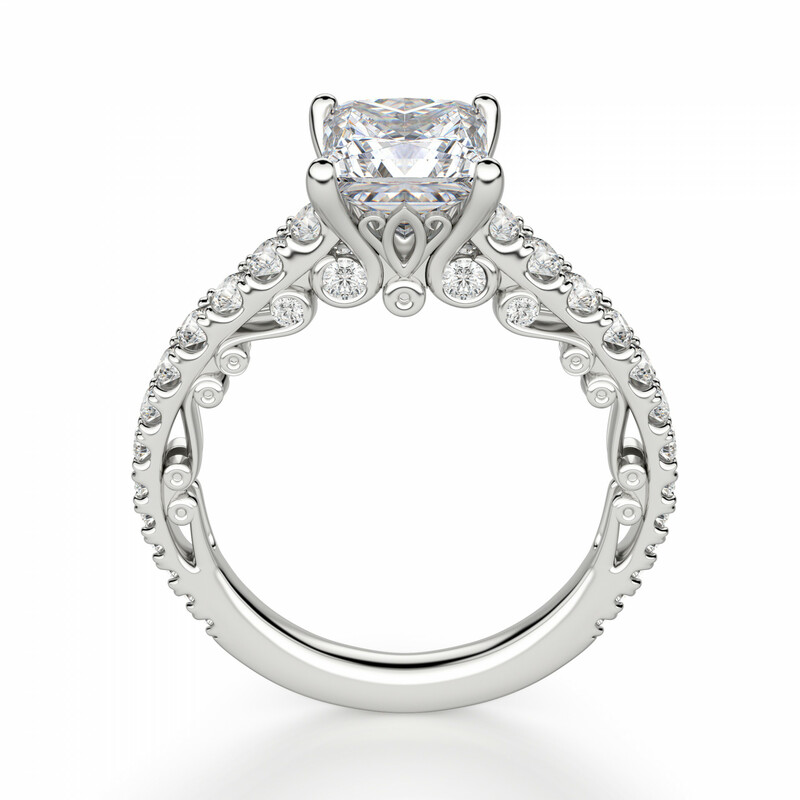 When viewed from the side, the design reveals elegant scrollwork and accent stones, along with a floral-inspired basket setting for the Nexus Diamond Alternative center stone. 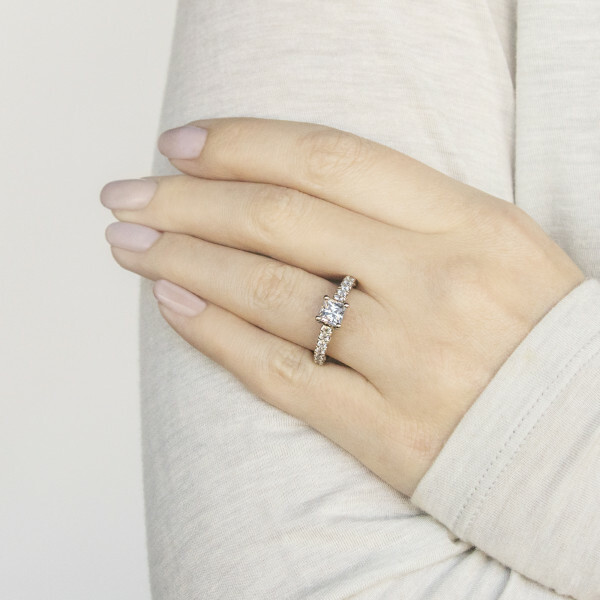 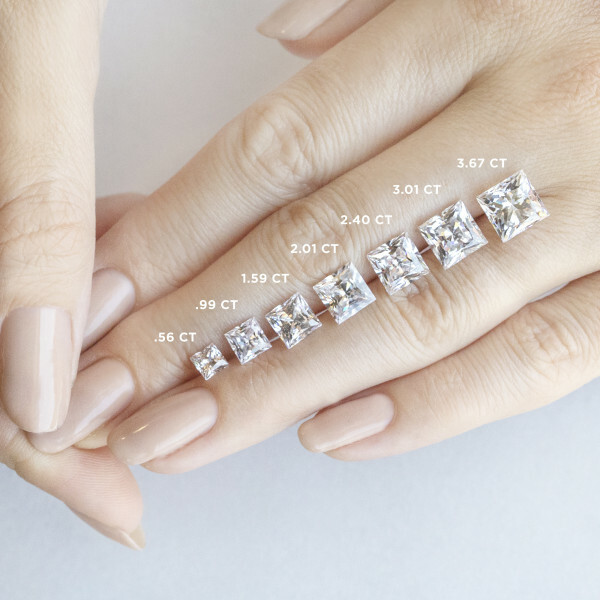 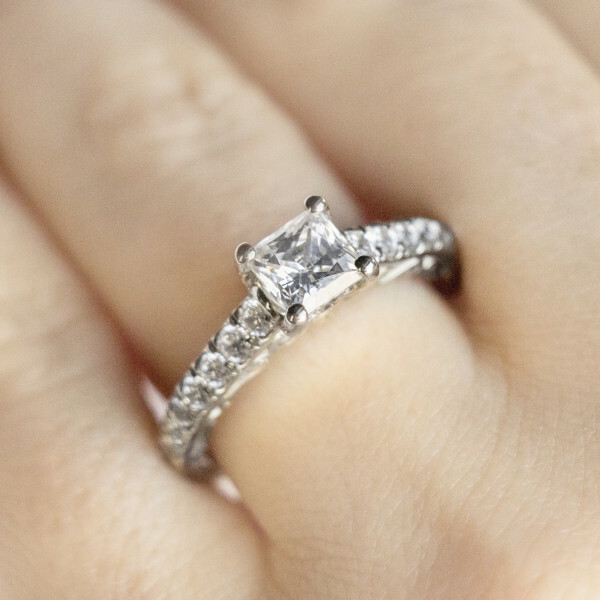 The Princess cut stone is perfectly accentuated by Round cut graduating side stones, which gradually get smaller as they wrap around the shank. 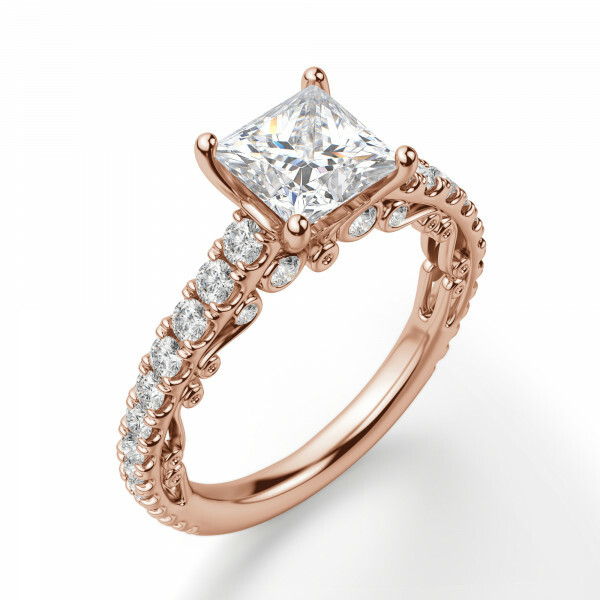 It is a timeless, romantic ring to represent your love forever. Complete the look with the matching Fleur band.